Recently making waves with a collaboration with Swedish retail giant H&M, Maison Martin Margiela gets back to their minimalist high-fashion roots with this ‘Clear Sole Leather Oxford’. Nearly seamless, this Made-in-Italy model boasts a semi-transparent sole showing off interior stitching and giving the shoe a certain amount of flare without drawing too much attention. 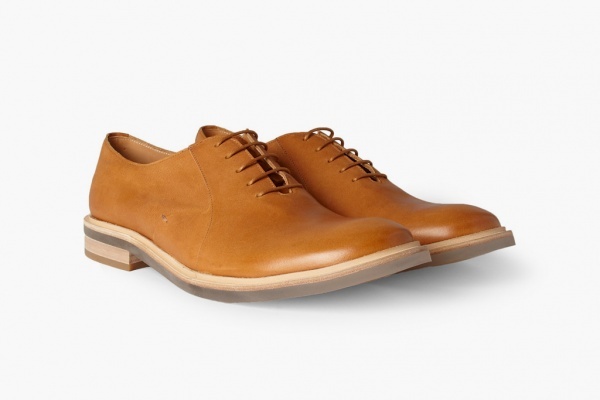 The Clear-Sole Leather Oxford Shoe from Margiela is currently available through Mr. Porter for $760 USD. This entry was posted in Footwear and tagged Maison Martin Margiela. Bookmark the permalink.